2.1 How is Adult Signature Required Used? 2.2 How Much Does Adult Signature Restricted Delivery Cost? Adult signature required can be looked upon as an attempt to secure your parcels even better. In the event of your absence, USPS tries to ensure that your shipment does not fall into the hands of an underage person. The only motive behind this is to ensure that your parcel reaches you or anyone who does not manhandle with your package. Under this service, for receiving a parcel on someone’s behalf, the recipient should be at least 21 years of age. Before the product is handed over, the recipient just needs to produce any valid or government-issued document for verification and that’s it! So, the required documents would be two; a photo identity for verifying recipient’s age, and in some other cases, a proof of receiver’s identity may be needed. This service, however, does not guarantee the time of delivery as it is subject to circumstances. Also, no record of your package is maintained in USPS offices if it is an adult signature required shipment. Adult signature restricted delivery is a little different from adult signature required service. Here, the recipient needs to produce a name before taking the shipment, unlike the latter where a mere photo identification and age proof were sufficient. This service again ensures that the mailing is recipient specific. The delivery requires the signature of the recipient log with a photo identity and age proof of the same. This way of transportation is safer than in verified means as the product may be subjected to manhandling when in the hands of an underage. Like adult signature required, this too does not guarantee the specific date of delivery. Also, no record is maintained for this kind of shipments. How is Adult Signature Required Used? 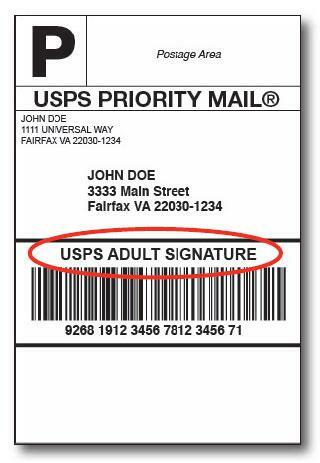 Adult signature required may also be used with extra services like insurance, hold for pick up and even return receipt from our Priority Mail Express and Priority Mail items. Further, under the hold for pickup options, adult signature required may also be used for Priority Mail Express (commercial mail only), Priority Mail, Parcel Select Barcoded Nonpresort. As a customer, you can request for the recipients signature, a printed full name of the receiver, the date, time and location of the delivery and also the tracking of your shipment. Except for commercial USPS marketing mail, USPS tracking is available with all our domestic shipments. Under USPS tracking too, you may avail other details like an electronically generated proof of delivery in a signature extract file format. You could otherwise also contact USPS as 1-800-222-1811 from where you would obtain details of the delivery of your shipment. How Much Does Adult Signature Restricted Delivery Cost? You may use click n ship, pc postage, be postage meter, permit imprint or USPCA for making the payments. This service remains unavailable at self-service kiosks, retail windows, or USPS meter label solution. 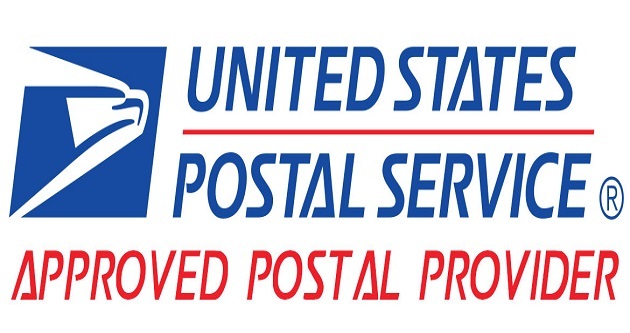 To get more details about these types of services, connect with USPS by CLICKING HERE. Previous Article What is the USPS Approved Postal Provider Program? 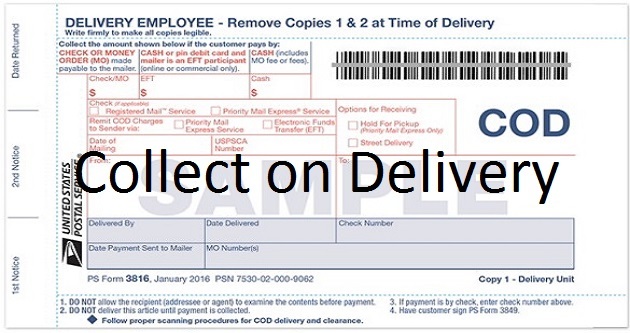 Next Article What is USPS Collect on Delivery (COD)?